LOWELL, Mass. — A Massachusetts woman has won her appeal to wear a colander on her head for her driver’s license photo as part of a satirical religion that is meant to mock Christianity and its beliefs. 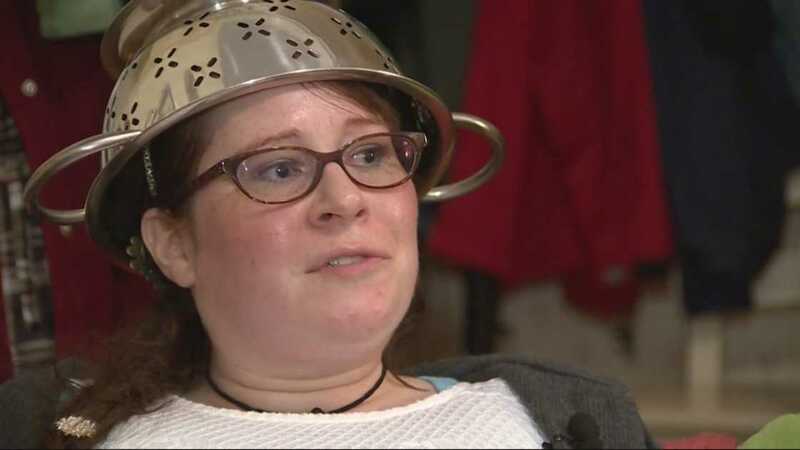 Lindsay Miller of Lowell, who identifies as a member of the “Church of the Flying Spaghetti Monster” or “Pastafarianism,” sought to wear the strainer for the photo this past August, but the Massachusetts Registry of Motor Vehicles (RMV) denied her request. “I thought of other religions and women and thought that this was not fair. I thought, ‘Just because you haven’t heard of this belief system, [the RMV] should not be denying me a license,” she told reporters. A friend of Miller then turned to the American Humanist Association (AHA) for assistance, which filed an administrative appeal. She was to have attended an appeal hearing in October, but the hearing was postponed and the RMV agreed to allow her to wear the colander since it did not cover her face. “If people are given the right to wear religious garments in government ID photos, then this must extend to people who follow the Church of the Flying Spaghetti Monster,” David Niose, legal director of AHA’s Appignani Humanist Legal Center, said in a statement. “With millions, if not thousands, of devout worshipers, the Church of the FSM is widely considered a legitimate religion, even by its opponents—mostly fundamentalist Christians,” the organization’s largely blasphemous website states, then proceeds to make a crude statement about the Almighty that is sexual in nature. But in Canada, where the matter went to court, a judge found such requests to be an abuse of the system.